If you can not see the upload images button appearing in your sitezadmin or the select button in the Flexcarts cartadmin does not work, it is because you are accessing your admin using a browser that does not have flash enabled and/or it has not been allowed to run on your site. Both of these things must be done to make things function properly. Directions for enabling flash on your browser and allowing it to run on your site will vary depending on what type of browser you are using. You can google how to enable flash with your browser name to find instructions online. Below are instructions for enabling flash and allowing it to run on a site using a Google Chrome browser on a PC. Next access your sitezadmin or cartadmin and click on the little ( i ) that appears to the left of the URL box on top of the page. After selecting this you will see a reload button appearing on top of the page. 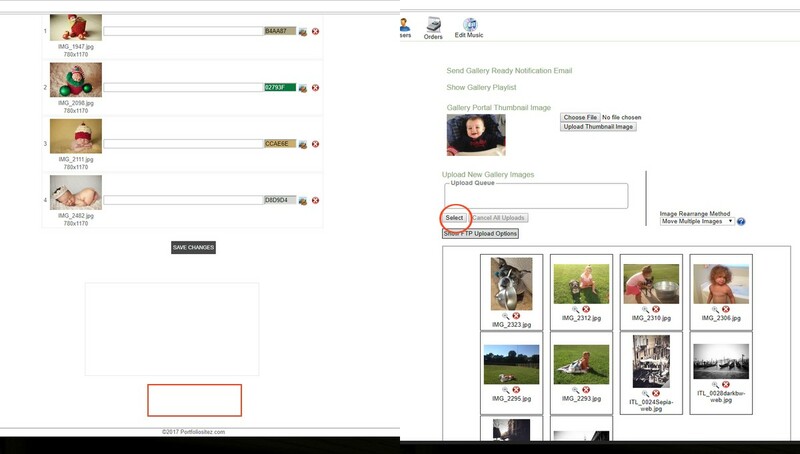 Use the reload button and then you should be able to see the upload images button in your sitezadmin and the select button will allow you to upload images in your cartadmin. If for some reason this does not work for you there is another thing that you can try. You should then see your Google Chrome flash settings page. Click on the ADD button that appears to the right of Allow and enter your domain name there.